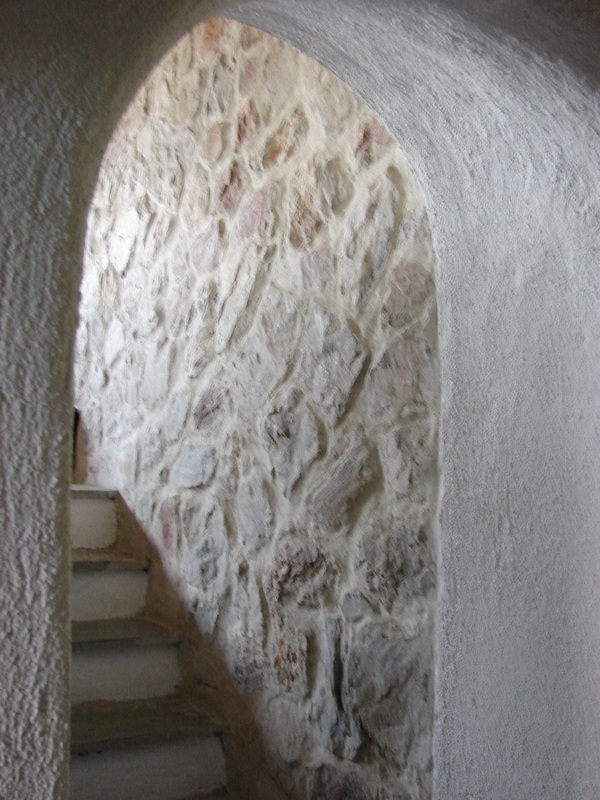 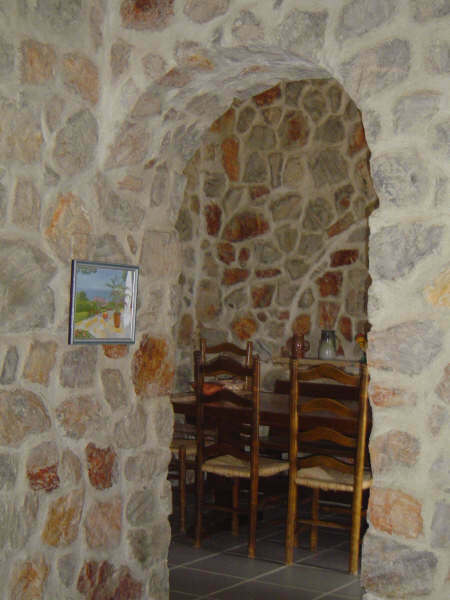 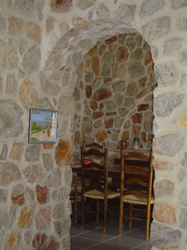 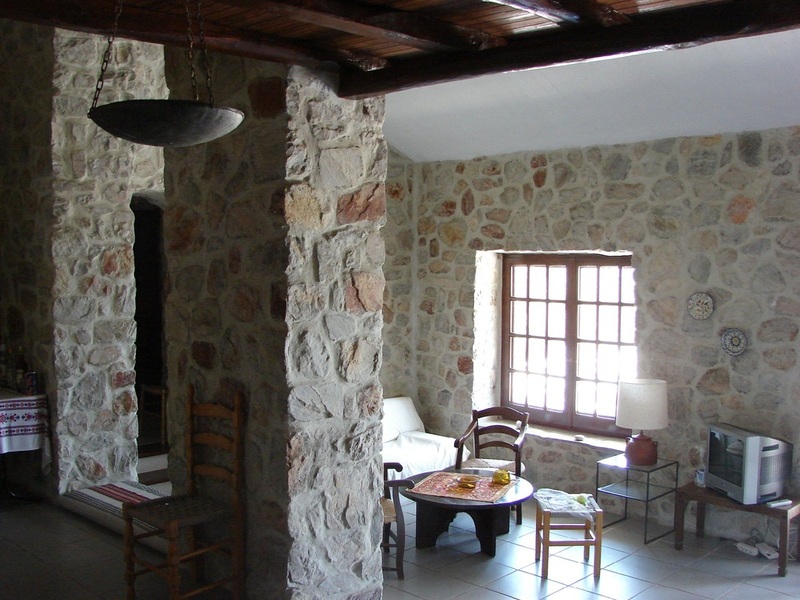 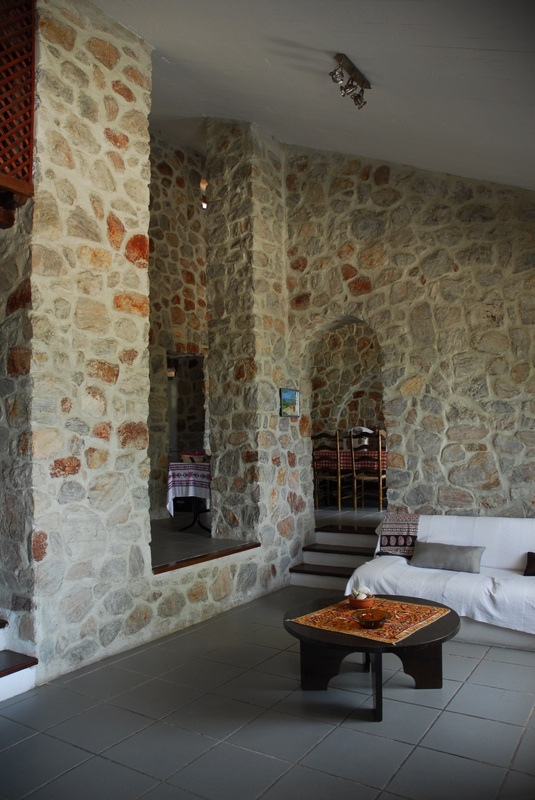 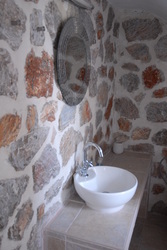 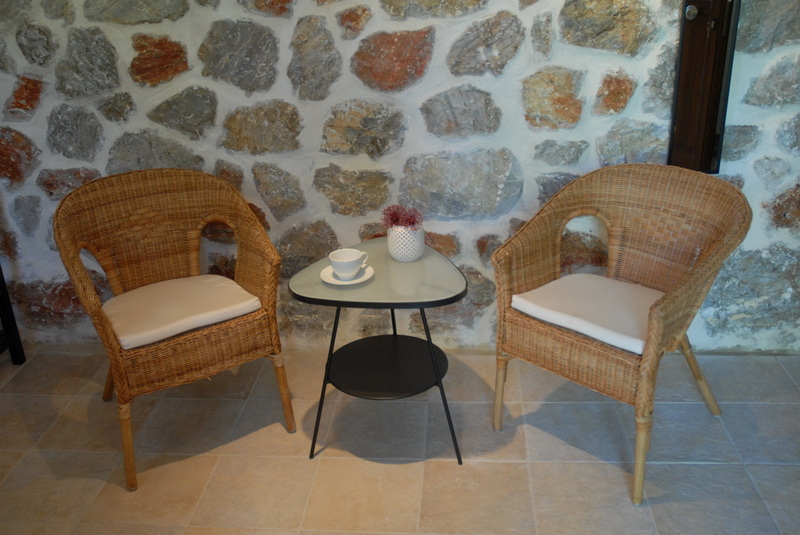 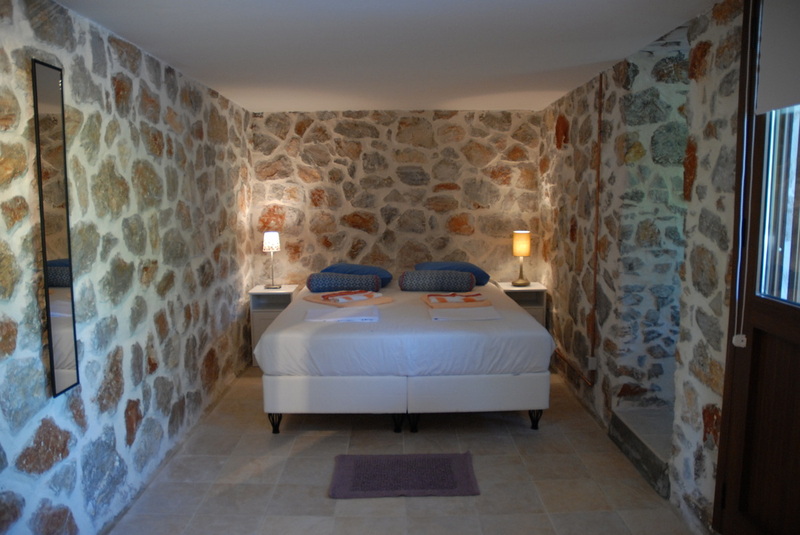 The Villa has been built solely from stone and wood offering its guests a sensation of tradition and space. 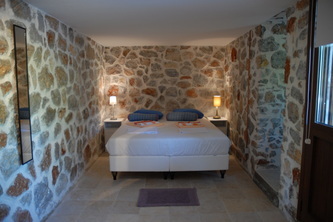 It accomodates up to 10 persons and is ideal for family vacations. 2 bedrooms with 2+2 sigle beds and a shared bathroom. 1 external independent 2 bed studio with AC, stone bathroom and small kitchen. 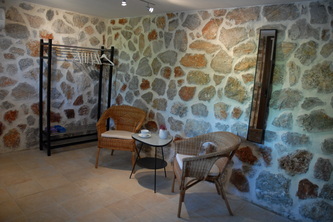 Kitchen fully supplied with 2 refrigerators, microwave, oven, dishwasher etc... plus a storage room with a washing machine. 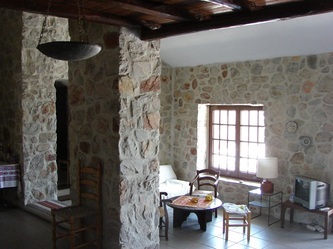 Living room with fire place, TV, Sattelite, HiFi and a great view to the sea. 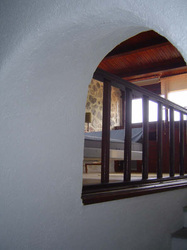 Cleaning services are available on request, as well as clean bedsheets and towels. Free Wifi internet connection is available.